PARIS -- New-car sales rose 1.1 percent in France in September, as the fall selling season began with mixed results for both domestic and foreign automakers. There were 170,652 registrations last month, with foreign brands recording the strongest growth, industry association CCFA said in a statement on Monday. Registrations rose 5.9 percent on an adjusted basis, with 21 selling days in September compared with 22 last year. Daimler recorded the largest gain among automotive groups, as sales rose 12 percent at the Mercedes-Benz brand and 4.4 percent at the Smart unit. Fiat-Chrysler was second, with Fiat rising 12 percent and Jeep 11 percent. Among French automakers, PSA Group sales were up 16 percent, but that figure included Opel sales, which were not added in 2016. Excluding Opel, PSA sales were up 2.6 percent. 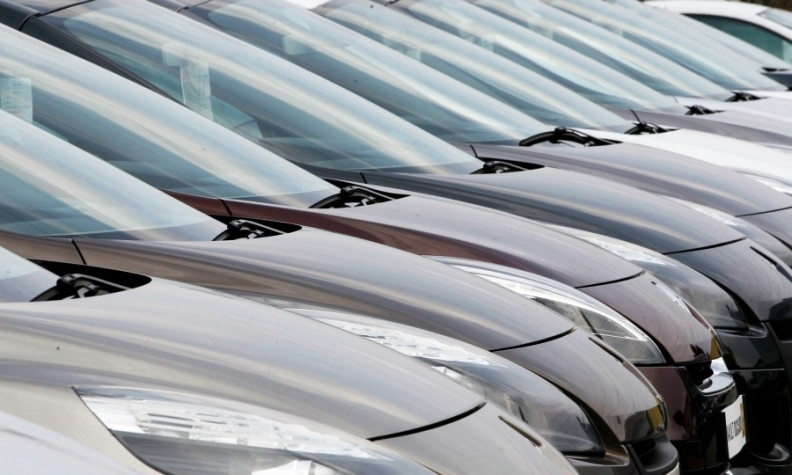 Peugeot gained 4.7 percent, Citroen 3.3 percent and Opel 3.2 percent for the month. Sales at premium brand DS continued to fall sharply, down 26 percent. Renault Group recorded a small gain at 0.6 percent, with Renault sales down 0.1 percent and budget brand Dacia up 3.5 percent. Performance varied among other foreign brands. VW Group fell 4.9 percent overall, but Seat recorded the largest monthly gain for an individual brand in France at 27 percent, with Skoda up 9.3 percent and Audi up 4.3 percent. Sales fell sharply by 15 percent at the core VW unit, and 14 percent at Porsche. BMW was down 3.5 percent as sales fell 5.1 percent at Mini and 2.8 percent at BMW brand. Ford sales rose 2.6 percent. Hyundai Group led Asian automakers with a gain of 5.2 percent, including 7.1 percent at Kia and 2.7 percent at Hyundai. Toyota was up 2.1 percent, and Nissan sales fell 4.2 percent. • Click above to download PDF for French sales for September by automaker and brand. Overall French sales rose 3.9 percent through September to 1.56 million, CCFA said, with two fewer selling days. Sales were up 5 percent on an adjusted basis, as growth continues to outpace early forecasts of 1 percent to 2 percent by automakers and analysts. The top-selling vehicle for September was the Renault Clio subcompact, but Peugeot held the next four places with the 208 subcompact, the 3008 and 2008 crossovers, and the 308 compact. Light-commercial vehicle sales rose by 0.5 percent in September, or 5.2 percent adjusted for selling days. Sales were up 6.9 percent on the year. Sales of vehicles with diesel powertrains remained steady at 47 percent for the third month in a row, after falling from 52 percent overall in 2016.